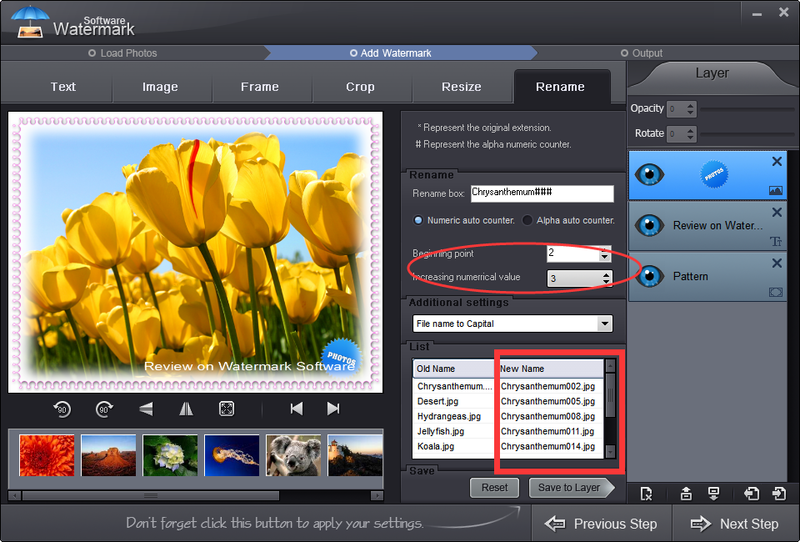 Watermark Software is a lightweight watermark creator, which allows you to create image watermark smoothly and easily. By applying this watermark creator, you can add watermark including text watermark & image watermark to your beloved photos and editing photos by rotating, adding frame, cropping and resizing images. Due to its support on batch watermarking and batch renaming, the watermark creator is convenient to use when adding watermarks to plentiful photos at one time. Watermark Software a Windows platform running software. The installation is no hard and no more complicated setup needs to be selected, auto installation will be executed quickly. The design of its interface is plenty friendly, this feature makes it quite easy to operate. After launched, you can see it’s three step finished software, which contains [Load Photos], [Add Watermark] and [Output]. In the first phrase, which is [Load Photos], you can choose between [Add Files] and [Add Folder]. [Add Files] is set for single or several photo watermark. To make it efficient to batch process, Watermark Software designed [Add Folder] module to quick loading hundreds of photos or more at once. In the second phrase - [Add watermark], you are allowed to batch adding text to photos, batch adding external graphic as image watermark to photos, batch rename output photos and etc. There is no difficulty for you to explore the extra features on [Add Watermark] module. One point needs to be mentioned is in its rename function: “*” means characters in alphabet remain the same, “#” stands numeric digit in series, from beginning point to the last one, each time added the digit you input into Increasing numerical value box. 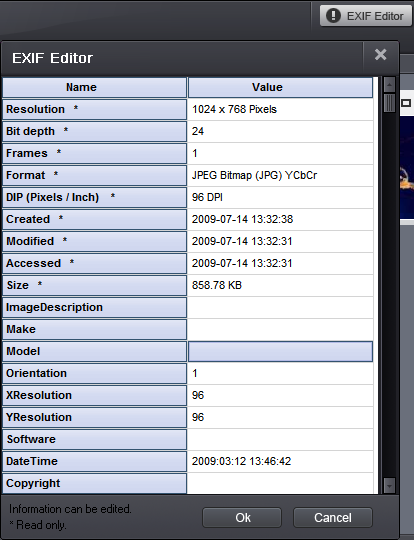 In the last phrase, you can set the output picture formats and output file directory. After all are set, choose [Run] on the right bottom, all will be finished within seconds or minutes due to your processing photo numbers. The pictures below are the output we got. This watermark creator provides support up to hundreds of photo formats, no doubt it supports all the popular photo formats, like JPG, PNG, BMP and many more. Also, TIF, PCX, TGA, PSD and RAW images are in its working area. You can notice the EXIF on the top of the interface, it’s the famous EXIF function absolutely. With this module, you can get access to add invisible text message to your photos to acclaim your own right in digital way. 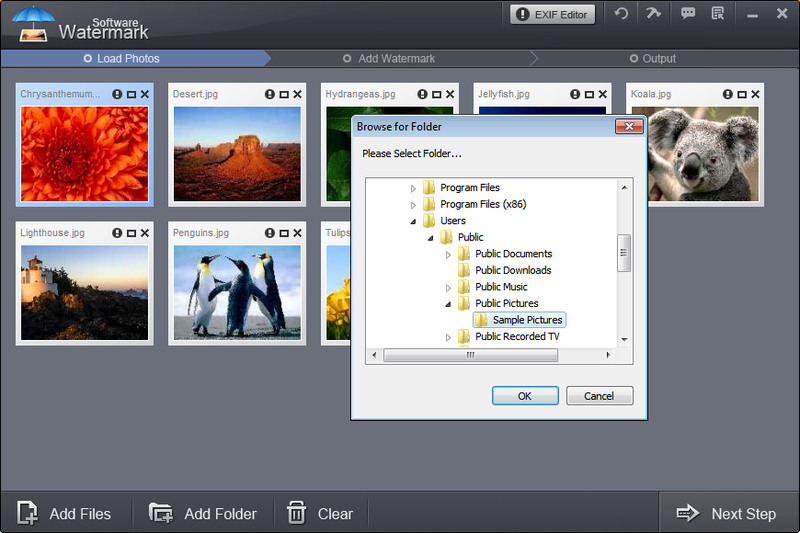 In all, Watermark Software carries all the needed functions in a watermark creator. Its batch watermark processing is outstanding. Its features is surprisingly rich and easy to use. It’s fast, efficient and worthy of your trying.